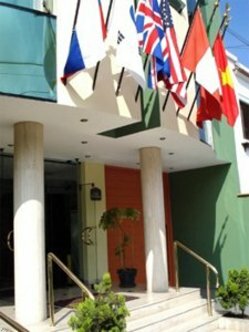 The Best Western Embajadores provides an economical alternative, service and comfort for those traveling to Lima for business or pleasure. Located in Miraflores, in the heart of the city's entertainment and financial areas. Each of our guest rooms includes cable television, a mini-fridge and direct-dial telephones. Guests will also enjoy our swimming pool, spa and mini-gym all designed to help you to relax. The Best Western Embajadores restaurant invites you to enjoy various dishes from our Peruvian and international menu for your dining pleasure.